Home Celebs AMVCA FASHION:Who Wore It Better? Susan Peters Or Shirley Igwe?? 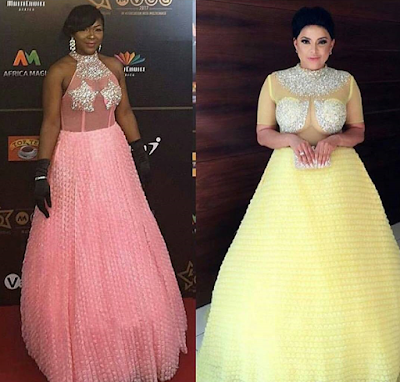 AMVCA FASHION:Who Wore It Better? Susan Peters Or Shirley Igwe?? Susan Peters and Shirley Igwe who are both Nollywood actresses wore dresses made by Luxury By Feyi to the AMVCA 2017 which took place yesterday. According to Peters, hers cost £3460 while Igwe's dress costs £2000, according to LBF's website. PRICES ASIDE....which of these two beautiful actresses wore it better!? ?